Full name is Wilson Abraham Ramos Campos...Last name is pronounced RAH-mos...Earned his nickname "The Buffalo" from Nationals teammate Ian Desmond…Desmond said of his catching prowess: "I don't know how you do that. No matter what, you're always ready to play. You're like a buffalo"...Began catching when he was five years old... He would often accompany his mother to the ballpark, as she worked security at Venezuela's winter ball stadiums...Grew up idolizing and emulating Iván Rodriguez, whom he had as a teammate for the Hall of Famer's final two seasons in the majors (201011)...Ramos called the opportunity to learn from him "nothing short of a dream come true"…He says Pudge's biggest impact on him came in learning how to call a game…When Ramos took over Rodriguez's starting job in 2011, Pudge was fully supportive...Is the second of eight children…Two of his younger brothers played in the minors: David was a right-handed pitcher in the Nationals system, and Natanael caught in the Mets organization…Their uncle, Miguel Campos, was a catcher in the Cubs system whose career ended as a 20-yearold after being hit in the face by a pitch...Endured a well-publicized 51-hour abduction in his native Venezuela from November 9-11, 2011…Was freed in the remote mountains near Montalban by Venezuelan government forces...Underwent Lasik surgery during spring training prior to the 2016 season to help improve his vision...Ramos credits the his improvements at the plate to the procedure. Named to his second-career All-Star team...Was voted the AL's starting catcher but did not play due to injury...Was on the 10-Day Disabled List, July 18-August 14 (left hamstring strain)...While on the DL, was acquired by the Phillies from Tampa Bay on July 31 in exchange for a player to be named later or cash considerations...Among catchers, ranked third in RBI (65) and seventh in extrabase hits (36)...Had the 10th-most homers in that group (15)...His 130 OPS+ was the second-best by a catcher (J.T. Realmuto had a 131 OPS+)...Ranked second in the majors with a .402 average (39-97) with runners in scoring position (min. 110 PA)...Only Houston's Yuli Gurriel (.403) had a higher average with RISP...Batted .321 (34-106) with seven doubles, six home runs and a .916 OPS against left-handed pitching...In 33 games with the Phillies after being activated from the DL, hit .337 (30-89) with eight doubles, a triple, one homer, 17 RBI, 10 walks and an .879 OPS...Collected a career-high three extra-base hits in his first game as a Phillie on August 15 vs. Boston... Had an extra-base hit in a career-best eight-straight games from April 16-28...The last catcher with a longer extra-base hit streak was Sandy Alomar Jr., who had a nine-game streak from September 28, 1996-April 13, 1997...Also had a seven-game extrabase-hit streak, July 9-August 16. Returned from a torn right ACL in late June to appear in 64 games, including 57 starts at catcher…spent the first 76 games of the season on the disabled list as he recovered from the injury sustained the previous September.... Despite the missed time, recorded 11 HR and 35 RBI while playing catcher, the most by a Ray since Kelly Shoppach (11) in 2011 and Dioner Navarro (52) in 2008, respectively... Is one of six catchers with double-digit homers in each of the last five seasons, along with ATL/ NYY/HOU Brian McCann, PIT/TOR Russell Martin, SF Buster Posey, KC Salvador Pérez and HOU/MIN Jason Castro.... Helped Rays backstops combine for a clubrecord 28 HR…previous record was 20 HR in 1999…they recorded 91 RBI while playing the position, 2nd in club history behind 1999 (98)… Ramos, Derek Norris (9) and Jesús Sucre (7) made the Rays the third AL team with three catchers (min. 50 pct. of games there) with 7 HR or more, along with the 1994 Yankees and 1970 Athletics.... In only 33 games vs. AL East opponents, hit .340/.374/.670 (36-for-106) with 10 HR and 27 RBI…the 10 HR were a club record for a catcher against the AL East, ahead of Toby Hall (6) in 2006…they ranked 2nd in the majors to NYY Gary Sánchez (16)…among players with at least 100 AB vs. the AL East, his .340 avg. ranked 5th and his .670 SLG ranked 1st... In 31 games against non-divisional opponents, hit .176 (18-for-102) with 1 HR and 8 RBI... Made his Rays debut on June 24 vs. BAL after appearing in 13 rehab games between Class-A Charlotte and Triple-A Durham…hit his first 2 HR as a Ray in back-to-back games, June 30- July 1 at BAL... Hit 3 HR in his first 7 games with the Rays, but then went 25 games and 74 AB without one… through Aug 13, he was batting .170 (17-for100)…from Aug 14 through season's end, hit .343/.371/.593 (37-for-108) with 8 HR and 22 RBI in 32 games (29 starts), raising his season avg. from .170 to .260…min. 100 AB, led major league catchers in avg. over this span and his 8 HR tied for 2nd behind Gary Sánchez (14)... Recorded 7 games with at least 3 hits, all coming over his last 31 games beginning Aug 15.... Twice homered off Chris Sale, both go-ahead shots at home, on July 6 and Sep 15.…on July 6, his RBI double and 2-run homer off Sale keyed a 4-1 victory…on Sep 15, his 2-run homer off Sale gave the Rays a 3-2 lead and he added another homer in the 8th inning off Matt Barnes en route to a 13-6, 15-inning loss…it was his fifth career multi-HR game, first since June 16, 2015 at TB, a Nationals 16-4 win…in that 2015 game, both homers came off Rays position players (Jake Elmore, Nick Franklin)... On July 24 vs. BAL, suffered a head laceration and received six staples…the injury was sustained in the 5th inning on a broken bat by Ruben Tejada…was used as a pinch-hitter the next night vs. BAL and returned to the starting lineup on July 26 vs. BAL, hitting a 5th-inning double against Ubaldo Jiménez.... On Aug 25 at STL, snapped career-high streaks of 5 multi-hit games and 6 multi-hit starts, both club records for a catcher…the 5 straight multihit games tied Corey Dickerson for the longest such streak by a Ray in 2017…the 6 straight starts with multiple hits was the longest by any catcher since SF Buster Posey (6) from Aug 21-29, 2014 and was the longest by a Ray since Corey Dickerson (6) from Sep 7-14, 2016…he hit .600 (15-for-25) during this 7-game stretch from Aug 15-23... On Sep 22 at BAL, tagged Ubaldo Jiménez for his third career grand slam, first since Sep 7, 2015 vs. NYM…it was the sixth grand slam by a catcher in club history, first since Kelly Shoppach on Aug 14, 2010 vs. BAL.... Finished the season with an active streak of 6 consecutive games with at least 1 RBI, matching the longest streak of his career (also July 2-8, 2011) and the longest streak by a Ray in 2017 (Logan Morrison, Aug 27-Sep 2). ALL-STAR GAME: Elected by player vote to his first All-Star Game and played 3 innings at catcher…played in front of his wife, daughter and brother…his wife also arranged for his parents to fly in from Venezuela without his knowledge. Set career-highs in games played (128), hits (109) and RBI (68)...Fell just short of matching a career high in home runs with 15 (16 in 2013)...Ranked second among National League catchers with 68 RBI...Trailed SFG's Buster Posey (95) and was ahead of SDP's Derek Norris (62)...Posted a career-best 19-game hit streak from April 24 to May 19...Started the year strong, hitting .327 (32-for-98) with five dubles, one homer, 13 RBI and eight runs scored in the first 26 games of the season...Second-longest streak in the National League in 2015...Clubbed second career grand slam, Sept. 7 vs. NYM...Led National League catchers with a career-best 36.2 catcher caught stealing percentage, throwing out 17 of 47 potential base stealers...His 17 caught-stealings were his most since he threw out 19 in 2011...According to FanGraphs.com, he led NL catchers in Defensive Runs Above Average (11.2) and was tied for first with SFG's Buster Posey in Defensive Runs Saved (9)...He ranked second, behind Posey, in SABR's Defensive Index (8.6)... Was behind the plate for both of Max Scherzer's no-hitters (June 20 vs. PIT and Oct. 3 at NYM). Limited to 88 games thanks to two stints on the disabled list...Suffered a fractured left hamate on Opening Day causing him to miss approximately two months...Returned on May 7 and hit .270 with seven doubles, one home run, 11 RBI and 11 runs scored in 23 games before suffering a strained right hamstring on June 11...Returned on June 26 and hit .269 with 10 HR & 36 RBI in 64 games following reinstatment...Posted a career-high 14-game hitting streak, June 9 to July 11...Went on paternity leave, Aug. 5...Homered in last game before (Aug. 4 vs. Baltimore) and first game after (Aug. 8 at Atlanta) daughter, Antonella's Aug. 5 birth...Excelled defensively in 2014 (34.7 caught-stealing%, 3 catcher pickoffs)...Clubbed two of Washington's six home runs, Aug. 29 at Seattle...Was behind the plate for Jordan Zimmermann's no-hitter, Sept. 28 vs. Miami...Hit .224 (15-for-67) with two doubles, one homer, six RBI and four runs scored in 18 games for Tigres de Aragua of the Venezuelan Winter League. Missed 59 games (left hamstring, 2 DL stints), but hit 16 homers in just 287 at-bats in breakout offensive campaign...hit career-high 16 home runs to set a Nationals single-season mark for catchers...bested own mark (14 in 2011)...paced all MLB catchers in home run rate (one HR every 17.94 at-bats)...Brian McCann ranks 2nd (HR every 18.72 at-bats)...when starting, Washington went 48-29 (.623)...posted catcher's ERA of 3.26 (all other Nationals catchers: 3.86)...from Aug. 22-Sept. 17, started 24 straight games at catcher to set a '13 MLB season high (trumped Yadier Molina, 22)...in first game back from 44-game stint on the DL, snapped a 5-5 tie with a game-winning 3-run shot in the 7th inning to cap the scoring in an 8-5 win, July 4 vs. MIL...also finished with a career-best 5 RBI in the Independence Day victory…hit first career grand slam off Carlos Torres in a 14-1 win vs. NYM, July 28. Hit .265 with 2 doubles, 3 home runs and 10 RBI in just 25 games with Washington as season ended prematurely due to a right medial meniscus tear sustained on May 12 at CIN...in that game, homered before injuring the knee while chasing a passed ball in the 7th inning...had surgeries performed by Dr. Richard Steadman in Vail, CO on June 1 (medial meniscus repair) and July 18 (right knee ACL healing response)...capped an 11-inning, 4-3 win on May 4 vs. PHI with pinch-hit, 2-out, RBI single off Michael Schwimer. Posted strong offensive numbers in one of finest rookie campaigns by a catcher in recent vintage ... finished 4th in NL Rookie of the Year voting ... defensively, provided sturdy target and used powerful arm to keep opposing runners at bay ... 14 home runs set new Nationals ('05-present) mark for homers as catcher (Brian Schneider, 10 homers in '05) ... established franchise record for homers by a rookie catcher, topping Barry Foote's 11-homer effort with the '74 Expos ... on April 26 vs. NYM, posted just the 2nd multi-homer game turned in by a Nationals catcher since baseball returned to DC in 2005 (also Brandon Harper, 2 homers on Aug. 20, 2006 at PHI) ... belted first career pinch-hit homer off Pat Neshek, June 9 at SDP...down 5-2 with two outs in the 9th, hit game-ending 3-run homer off David Pauley as Washington shocked SEA, 6-5, June 21 at Nationals Park ... with Braves clinging to lead in the NL Wild Card, hit game-winning homer-4th-inning solo shot-in eventual 3-0 win, Sept. 25 vs. ATL ... went 3-for-4 with a triple, home run, 2 RBI and a franchise-record 5 runs scored in a 17-5 win, May 20 at BAL ... posted season-high 10-game hit streak from Aug. 22-Sept. 6, batting .368 (14-for-38) with 6 doubles, 2 homers and 7 RBI during that stretch ... batted .319 in 56 games at Nationals Park, compared to .222 in 57 road games ... gunned down 28% (19 of 67) of would-be basestealers, which ranked 3rd among qualifying NL catchers. Combined to hit .278 with 7 doubles, one homer and 5 RBI in 22 games with MIN and Washington in initial big leagueaction...began year with Triple-A Rochester, but made MLB debut with the Twins via 4-for-5 effort, May 2 at CLE...first hit was a single off Aaron Laffey...in 2nd game, May 3 vs. DET, went 3-for-4 and became the first big leaguer in68 years to notch 7 hits in initial 2 contests...Nanny Fernandez of the 1952 Boston Braves was the last to do so....was optioned to Rochester on May 12...remained there until being acquired by the Nationals in late July...was recalledby the Nationals for a brief 3-game stint in Aug. and for all of September...first MLB homer was a 2-run blast off R.A.Dickey, Sept. 8 vs. NYM...gunned down 24 of 48 (50%) would-be basestealers in 72 minor-league games...dominatedthe Venezuelan Winter League (.322, 17 doubles, 9 home runs, 36 RBI, 47 games)...ranked among VWL leaders indoubles (tied first), extra-base hits (2nd, 26), homers (tied 2nd), RBI (tied 4th) and batting (5th). Began season at Double-A New Britain...went 3-for-5 with his first home run of the season, April 11 at New Hampshire...homered in consecutive games, June 10 and 11 vs. Altoona...batted .400 (16-for-40) in 11 June games...placed on the disabled list, June 14 with a right hamstring strain...rehabed in five games with the GCL Twins...reinstated from disabled list, August 13...batted .326 (15-for-46) in 12 August games and .346 (9-for-26) in six September games...collected 21 multi-hit games, including seven three-hit games...batted .348 (23-for-66) vs. left-handed pitching and .302 (42-for-139) vs. right-handed pitching...was the Twins' minor league full season leader in batting average and on-base percentage...ranked the eighth-best prospect in the Eastern League by Baseball America...ranked as the best power hitter, bestdefensive catcher, and second-best prospect in the Twins organization by Baseball America, entering the 2010 season. Played the entire season with Ft. Myers, going three-for-five with a home run and two rbi in his first game April 3 vs. Sarasota...second three-hit game April 23 at Tampa...third three-hit game May 2 vs. Clearwater...four-rbi game May 25 vs. Palm Beach...hit seven home runs in 27 May games...hit safely in 16 of 18 games from May 28-June 19...two-homer game July 9 at Vero Beach...fourth three-hit game June 5 at Brevard County, including three rbi...fourth three-hit game July 5 at Lakeland...sixth three-hit game July 28 at Dunedin...13-game hit-streak from July 18-August 8, batting .407 (22-for-54) with 12 rbi during that span...went 4-for-5 with five rbi July 31 vs. Clearwater...batted .352 (32-for-91) in 23 games in July...seventh three-hit game August 11 vs. Dunedin...drove in four on August 14 vs. Lakeland...second four-hit game August 21 at Lakeland...hit .337 (31-for-92) in 27 games in August...hit safely in each of his last 15 games of the season...hit .344 (43-for-125) vs. lefthanded pitching...led the team in home runs (13), hits (130), rbi (78) and doubles (23)...his 23 doubles ranked fourth in the Florida State League...was sixth in the Twins organization in rbi...participated in the Florida State League All-Star Game...ranked eighth best prospect in Florida State League by Baseball America and was named Florida State League Postseason All-Star...ranked best defensive catcher in the Florida State League by Baseball America...played for the Tigres de Aragua in the Venezuelan Winter League following the season...ranked third best prospect in the Twins' organization by Baseball America entering the 2009 season. Hit .291 with 8 HR and 42 RBI in 73 games with Beloit of Single-A Midwest League...joined Beloit on June 2...placedon DL for remainder of season with sprained right thumb, August 28...played for Aragua in the Venezuelan Winter League. Appeared in 46 contests with Rookie-level GCL Twins in first domestic campaign...fanned just 14 times in 154 AB...following season, played in 6 games for the Tigres de Aragua of the Venezuelan Winter League. In first pro season, threw out 17 of 45 (37.7%) of would-be basestealers for the Twins' Dominican Summer League entry. 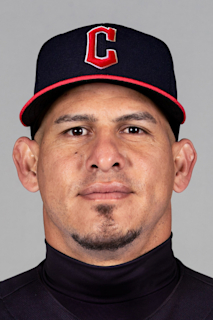 December 18, 2018 New York Mets signed free agent C Wilson Ramos. October 29, 2018 C Wilson Ramos elected free agency. August 15, 2018 Philadelphia Phillies activated C Wilson Ramos from the 10-day disabled list. August 11, 2018 Philadelphia Phillies sent C Wilson Ramos on a rehab assignment to Clearwater Threshers. July 31, 2018 Tampa Bay Rays traded C Wilson Ramos to Philadelphia Phillies for Player To Be Named Later. July 18, 2018 Tampa Bay Rays placed C Wilson Ramos on the 10-day disabled list retroactive to July 15, 2018. Left hamstring strain. June 24, 2017 Tampa Bay Rays activated C Wilson Ramos from the 60-day disabled list. June 13, 2017 Tampa Bay Rays sent C Wilson Ramos on a rehab assignment to Durham Bulls. June 13, 2017 sent C Wilson Ramos on a rehab assignment to Durham Bulls. June 5, 2017 Tampa Bay Rays sent C Wilson Ramos on a rehab assignment to Charlotte Stone Crabs. April 1, 2017 Tampa Bay Rays placed C Wilson Ramos on the 60-day disabled list. Torn ACL. December 12, 2016 Tampa Bay Rays signed free agent C Wilson Ramos. November 3, 2016 C Wilson Ramos elected free agency. October 14, 2016 Washington Nationals activated C Wilson Ramos. October 7, 2016 Washington Nationals reassigned C Wilson Ramos to the minor leagues. May 1, 2016 Washington Nationals activated C Wilson Ramos from the bereavement list. April 26, 2016 Washington Nationals placed C Wilson Ramos on the bereavement list. November 26, 2014 C Wilson Ramos assigned to Tigres de Aragua. August 7, 2014 Washington Nationals activated C Wilson Ramos from the paternity list. August 5, 2014 Washington Nationals placed C Wilson Ramos on the paternity list. June 26, 2014 Washington Nationals activated C Wilson Ramos from the 15-day disabled list. June 22, 2014 Washington Nationals sent C Wilson Ramos on a rehab assignment to Potomac Nationals. June 21, 2014 Washington Nationals sent C Wilson Ramos on a rehab assignment to Harrisburg Senators. June 11, 2014 Washington Nationals placed C Wilson Ramos on the 15-day disabled list. Right hamstring strain. May 7, 2014 Washington Nationals activated C Wilson Ramos from the 15-day disabled list. May 5, 2014 Washington Nationals sent C Wilson Ramos on a rehab assignment to Harrisburg Senators. May 4, 2014 Washington Nationals sent C Wilson Ramos on a rehab assignment to Hagerstown Suns. November 20, 2013 C Wilson Ramos assigned to Tigres de Aragua. July 4, 2013 Washington Nationals activated C Wilson Ramos from the 15-day disabled list. July 1, 2013 Washington Nationals sent C Wilson Ramos on a rehab assignment to Potomac Nationals. June 28, 2013 Washington Nationals sent C Wilson Ramos on a rehab assignment to GCL Nationals. May 16, 2013 Washington Nationals placed C Wilson Ramos on the 15-day disabled list. Left hamstring strain. April 29, 2013 Washington Nationals activated C Wilson Ramos from the 15-day disabled list. April 26, 2013 Washington Nationals sent C Wilson Ramos on a rehab assignment to Harrisburg Senators. November 2, 2012 Washington Nationals activated C Wilson Ramos from the 60-day disabled list. May 15, 2012 Washington Nationals transferred C Wilson Ramos from the 15-day disabled list to the 60-day disabled list. May 13, 2012 Washington Nationals placed C Wilson Ramos on the 15-day disabled list. Torn right knee ligament. October 4, 2010 Tigres de Aragua signed C Wilson Ramos. September 1, 2010 Washington Nationals recalled Wilson Ramos from Syracuse Chiefs. September 1, 2010 Washington Nationals activated C Wilson Ramos. August 21, 2010 Washington Nationals optioned Wilson Ramos to Syracuse Chiefs. August 18, 2010 Washington Nationals recalled Wilson Ramos from Syracuse Chiefs. July 30, 2010 Washington Nationals Traded RHP Matt Capps to Minnesota Twins; Minnesota Twins Traded C Wilson Ramos to Washington Nationals and Fort Myers Miracle Traded LHP Joe Testa to Potomac Nationals. July 30, 2010 Washington Nationals optioned Wilson Ramos to Syracuse Chiefs. May 13, 2010 Minnesota Twins optioned C Wilson Ramos to Rochester Red Wings. May 2, 2010 Minnesota Twins recalled Wilson Ramos from Rochester Red Wings. March 31, 2010 Minnesota Twins optioned Wilson Ramos to Rochester Red Wings. December 27, 2009 C Wilson Ramos loaned to Leones del Caracas from Tigres de Aragua. October 19, 2009 Wilson Ramos roster status changed by Minnesota Twins. October 8, 2009 Wilson Ramos assigned to Tigres de Aragua. August 13, 2009 Wilson Ramos roster status changed by New Britain Rock Cats. August 7, 2009 sent C Wilson Ramos on a rehab assignment to GCL Twins. June 19, 2009 New Britain Rock Cats placed C Wilson Ramos on the 7-day disabled list retroactive to June 15, 2009. Hamstring injury. May 31, 2009 New Britain Rock Cats activated C Wilson Ramos from the 7-day disabled list.